Baxter's used space on two billboards to create the illusion of a wedding proposal across the highway. 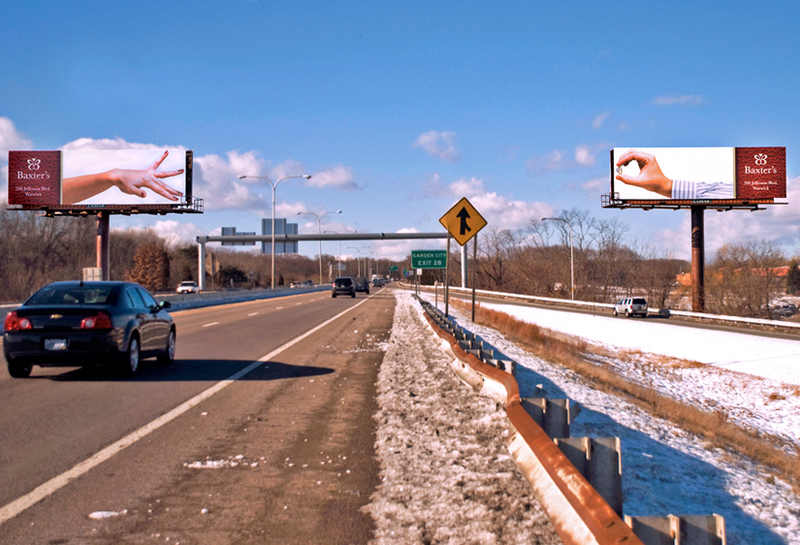 The first billboard on the left side featured a design with a lady's hand and the second billboard (located directly across the highway) featured hand holding the engagement ring. Out-of-home advertising offers virtually unlimited creative potential.